Simply clip the Pulse Sensor to your earlobe or finger tip and plug it into your 3 *or *5 Volt Arduino and you're ready to read heart rate! The 24" cable on the Pulse Sensor is terminated with standard male headers so there's no soldering required. Of course Arduino example code is available as well as a Processing sketch for visualizing heart rate data. The v1.4 example code for the Pulse Sensor was designed to be used with an Atmega328P’s interrupts. You can have issues with the example code when using different microcontrollers. I had compile errors when trying to use the example code on these microcontrollers: Atmega32U4 on the Pro Micro 5V/16MHz, Pro Micro 3.3V/8MHz, FioV3, LilyPad Arduino USB - ATmega32U4, Arduino Leonardo, Arduino Yun; SAM3X8E on the Arduino Due; SAMD21. There were issues compiling the example code because the pulse sensor’s code was expecting to use the interrupt timers defined for the Atmega328P. To use the pulse sensor with the processing sketch, you need to upload the Arduino example code first. The processing sketch will output the COM ports available in an array. If I need readings from wrist, will it work? I've been testing these out, and it appears that the power consumption is much higher than advertised. It says in the description that it draws 4mA @ 5V, however I am consuming 15mA @5V, 13-14mA @3.3V, which is much higher than expected. The sensor is worn during this, so I don't think it's from amplifier saturation. This happens consistently for long periods of time, so I don't think it's a fluke, and I just tested it on a brand-new, freshly set up sensor, so I don't think it's the sensor itself. Is there something I'm doing wrong, or is this normal? This is for a battery-powered application, so it's important that it is as low power as possible. 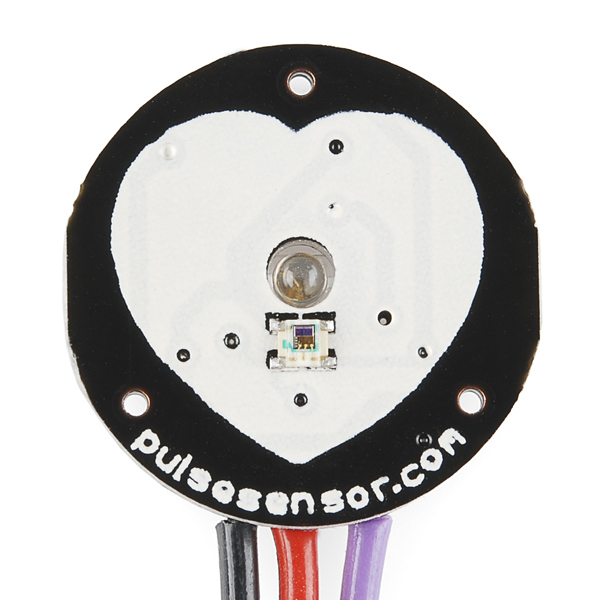 Hi, I already bought this sensor and trying to do the connection with servo by bluetooth (slave-master) which really worked for my prototype but my servo (tower pro-SG90) which is so loud and I guess not enough to imitate the heart beat. Can I ask you which kind of servo are you using in heart shape? If you have can you send a link of the servo you are using? Can this be used on the wrist? Great product, but is there any sense of why the cost? This is an ADC and an amp after all. I noticed on the mfg. site they have a photo of the makershed store listing it for $20, but when you click through to the product page it's $25. I've never complained about Sparkfun's pricing, but doesn't this seem excessive for this board?! I usually think that Sparkfun prices things very appropriately, especially their breakout boards. However, I must agree with you that this is rather overpriced. If this had even an ATTiny to serialize the output, or any "Active" component, I would accept the price. With this simple a circuit, I have to say that the cost outweighs the features. The opAmp it;s an ACTIVE component !!!! Quite true, sorry, I suppose was thinking of a more complex device, something to actually average the output, a small micro or something, or perhaps even a well-tuned low-pass filter for noise suppression, but you are correct, an Op-amp is considered an active component. A 19 cent op-amp and an 88 cent light sensor still does not justify the $20 price tag, in my opinion. Dougie im with you there man. But when ever i ask a question on the price of a product, i never get an answer. But a great product all the same! Maybe i will buy it. It can be used on animals? serves in animals ? Hey SparkFun, update the Arduino source code link! The current link points to old code (1dot1) and the latest example sketch (1dot4) is MUCH better at providing a solid pulse signal. I just re-wrote my negative review into a positive one after I tried the latest example source, it was like night and day in terms of how well it picks up my pulse. With the old example I had to get my finger on there JUST right, now it's much more forgiving and doesn't send out a bunch of junk pulses unless there's a solid consistent signal. What is the current consumption like? I was thinking of building a Fitbit-like device and wanted to use the smallest battery possible. Prepared with hot glue out of the box. Readings erratic and settle on 200 no matter what. In general I was disappointed and in top of that they didn't send the Processing Sketch and the Schematic. This is an absolutely unacceptably horrible product! I have never been so fully disappointed in the entirety of my life. Sadly, I have received absolutely NO help whatsoever from SparkFun's technical support, and therefore the product is rendered useless. It broke within hours of opening the package and never worked once. Don't buy this product. PERIOD. We are trying to program this product. All we need is to hook the sensor up to the Arduino and have it read and print someone's heart rate. Can someone please just post the code? Thanks for the help! Does anyone know if the example code here can be used with the fastLED library? I've got the fastLED library set up on my micro (same as leonardo) to run the WS2801 addressable LED strips and I'd love to have a heart rate sensor to control colors or fading. Plug the Pulse Sensor into Power (RED wire = +3V to +5V), Ground (BLACK wire), and Analog Pin 5 (PURPLE wire = signal). Pulse Sensor PURPLE wire goes to Analog Pin 5 Arduino code designed to fade an LED on Digital Pin 11 Arduino code designed to Blink pin 13 to a LED with the pulse. 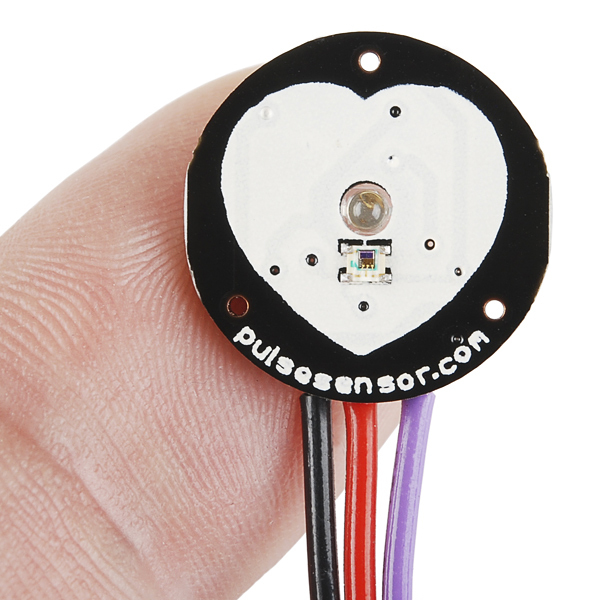 Processing: The Pulse Sensor comes with code for on screen processing. This processing runs on a computer that is communicating serially to the Arduino processor that is getting analog input from the pulse sensor as input. Processing: To listen in on what the Arduino sketch is sending, Processing is used and comes with a Serial library designed for it. Once Processing is installed, open processing. It looks allot like Arduino. The Arduino software was actually based in part on âProcessingâ open-source. Tips and Tricks Make sure baud rates match Make sure youâre reading off the correct port in Processing - thereâs a Serial.list() command that will show all the available ports to connect to. If youâre âusing the serialEvent() method, make sure to include the port.bufferUntil() function in your setup() method.â (learn.sparkfun.com). Be sure that whichever character youâre buffering until you see the end of line (e.g., â\nâ), be sure that youâre actually sending from Arduino. If you want to send over a number of sensor values, itâs a good idea to âcount how many bytes youâre expecting so you know how to properly parse out the sensor data.â (learn.sparkfun.com). To create a font to use with Processing, select "Create Font..." from the Tools menu. This will create a font in the format Processing requires and also adds it to the current sketch's data directory. FILE â> IMPORT â> GENERAL â> FILE SYSTEM. Click next. Click browse and find the Processing application. On Windows look inside the directory called âlibâ, but on Mac (for Processing 1.0=) and go inside the applicationâs âpackage contentsâ: Processing->Contents->Resources->Java. Select the file âcore.jarâ inside the lib (PC) or Java (Mac) folder. Hey anyone used this with the a SoC x86 board? Is it possible? You would need something to power the device, but other than that it looks like it's an analog output device so you theoretically could hook it up to a microphone jack with appropriate circuitry. Given the need for power and the greater flexibility, though, I'd stick to a microcontroller-based approach. how can i buy this sensor? Heh! This is a really fun thing. I got it working with an Arduino, a 9V battery, and the Open Heart Kit from Maker Shed ( http://www.makershed.com/products/open-heart-kit ). Video with source code links is here ( https://www.youtube.com/watch?v=guZ9PStlZfk ). IBI and BPM flip flopped in "PulseSensorAmped_Arduino_1dot2.ino" (from "Pulse Sensor Amped 1.2" project) and "SerialEvent" (in "P_PulseSensor_06" Processing project), downloaded from PulseSensor.com. You'll notice the ".ino" file sends a prefix of 'B' with BPM and 'Q' with IBI and the "SerialEvent" is expecting a prefix of 'Q' with BPM and 'B' with IBI. 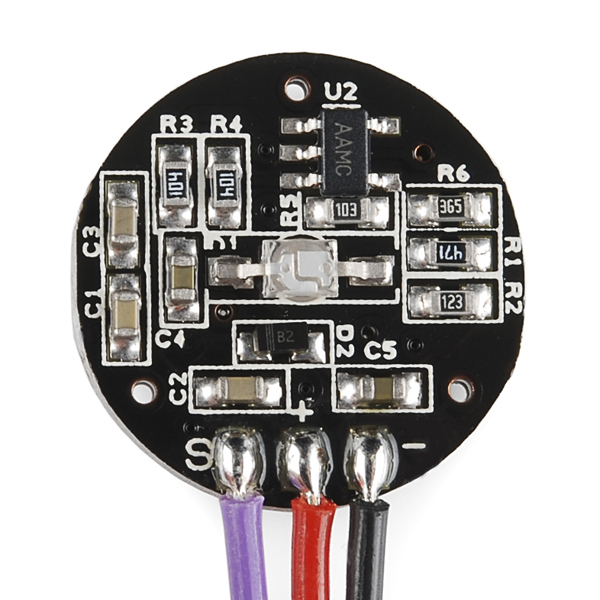 does anyone know the c code of pulse sensor for stm32f4 discovery? Is there a way to use this as a pulse oximeter? Hi people! I just got myself few of those sensors. I discovered that when attached to the body (finger or a bit above the wrist) when I move a bit there are massive disturbances in the signal, any suggestions? How it is when it is attached to the ear? Is it also so sensible to movement? Do you know some other sensor that is not disturbed by movement and gives reliable signal? This is junk. I bought 3 of these and could never get them to work. The Arduino code does not even work on stock UNO. Their website is totally bogus and just spits ads at you. Other people on their forum complained that the device did not work but nobody ever replied with a fix or even a comment. To add insult to injury if you decide to post on the forum you have to endure listening to some useless 12 second ad (Progressive insurance !) so you can get the capcha code to submit the comment. What a joke ? A support forum is there to support users not to generate revenue for the site. Complete waste of $ 75. We have purchased 3 sensors, and only 1 of them had defective hardware. The others worked fine with the code samples, pretty usable right out of the box. can this sensor be used on wrist? Can the sensor read heart rate under the wrist? Would this sensor cause any problems for people with pacemakers? Not at all. This sensor works via reflected light, and involves no electrical connection to the subject. Can this sensor work with IOIO-OTG? if so, I need the codes. Yes it can work with any 3.3V or 5V microcontroller. I need a heart rate monitoring hardware. Is this sensor stable and accurate? Can i trust its result? I was planning the buy an ECG sensor from cooking-hacks. Can anyone help me? And can i use this sensor with raspberry pi? Can this product work using IOIO-OTG?? I think that the sensor that I received was defective. I tried running the example Arduino code, using several different Arduino boards, placing the sensor at different locations on my skin, and the measured heart rate fluctuated between 2 and 3 times the actual value (measured from another device). If you're concerned with the functionality of your sensor, please contact techsupport@sparkfun.com and they will be able to assist you further. Hi, I just bought this sensor and was wondering if I can use it with the "Logomatic v2 Serial SD Datalogger"? can i use this for ECG measurements????? Anybody tried this on small rodents (e.g., clipping to ear to read heart rate; this is for a research lab)? 3 AA batteries and your PC soundcard's line-in to a software oscilloscope (http://www.zeitnitz.de/Christian/scope_en is excellent) serve nicely as a substitute for the Arduino. Hi Please tell me if I can connect it to my 8051 microcontroller ? I've got one of these at the moment, and other than hot glue, the best I can think of would be clear heat shrink wrap. You'd have to make sure the heat used didn't cause components to slide- I'd be afraid of the heat loosening the solder joints. Other than that, it should be fine I would think. Just make sure that the front side is flush and clear, as the cloudier the material, the harder it will be for the light sensor to do it's job. Is there any way to use this as an oximeter too? I don't believe so, pulse oxymetry requires two wavelengths (red and IR) and measuring the difference between them. FYI, there is no reason this should be limited to the earlobes or fingers. Reflexive pulse oximeters like these can typically be applied anywhere there isn't too much muscle, such the toes, throat, forehead, or chest. The chest is often the best option, in fact. If the wearer is cold, has poor circulation, and/or is shivering, most other placements return inaccurate values due to vasoconstriction and vibration. 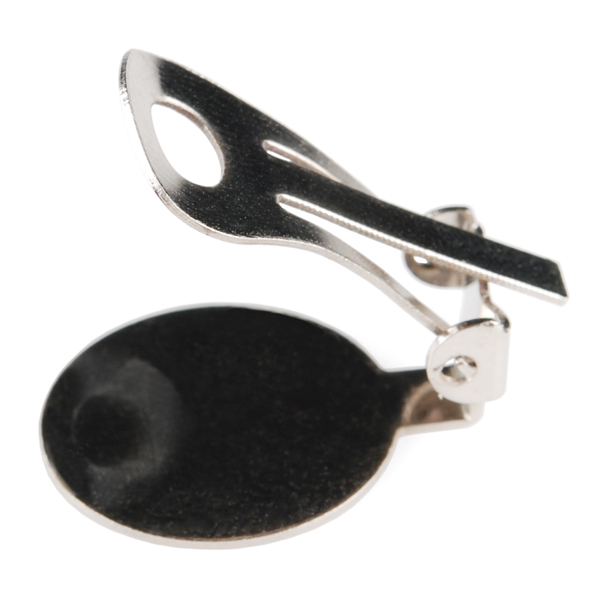 Maybe it's because the velco strap (or ear clip) is most easily attached to either the ear lobe or finger. I'd be interested in seeing it work on the chest. Are there any data sheets with specifications on current (amps) in addition to voltage (+3V to +5V in on red wire)? I would like to know the lifetime if connected to an external power source (batteries). I already checked their home page, but to no avail. Thanks! The green LED takes about 20mA. I'm looking for a lower power solution, anybody experimented with lower power LED's? I highly recommend that if you use this device that you tack TVS on the IC pins or pot the entire circuit with some kind of clear epoxy. ESD protection was not even considered in this design. The Microchip op-amp is ESD rated, so it'll be hard to kill. The kit comes with clear plastic stickers to cover the exposed photosensor chip, which will give it some protection. And the whole thing is reverse polarity protected too. For a fascinating description of the development of this product, check out this page. The Processing Code gives me compile errors. whats the problem? I couldn't get this device to work consistently using the example code in the product description. (the 1dot1 version). If you look on the manufacturer's github repository you will find a "1dot4" version which seems to pick up the pulse signal MUCH faster, and without having to position your finger JUST right. It also seems to filter out false signals much better than the 1dot1 code. A very little device with a vehe only thing to improve is the glue of the velcro pad. Got the Arduino code (1dot4) and Processing app (1dot1) working just fine, with only a small tweak required in the Processing app to identify my correct Serial port. I don't have a lot of high-impact activities planned for this, but it seems sturdy enough for my uses. The kit instructions encourage you to use copious amounts of hot glue on this to attach accessories and make it sturdier and water resistant, so I think it could work well even for experiments that involve some wear and tear. The only disappointment: the code required to run this is a lot more involved than I'd anticipated. Turns out it's trickier than I thought to measure pulse rate, and involves a lot of interrupts and custom code that's well beyond my abilities to write from scratch! So, unless you're an electrical engineering guru, expect to be sticking with the stock sample code. This pulse sensor is pretty good and it accurately captures and displays the pulse waveform when used on the finger or the wrist. The price seems a bit steep though. Looking at the schematic which consists of one op amp, one photodiode, and one LED, this should go for under $20. I needed this sensor for a school project. It worked perfectly with my Arduino Esplora and was very easy to use. 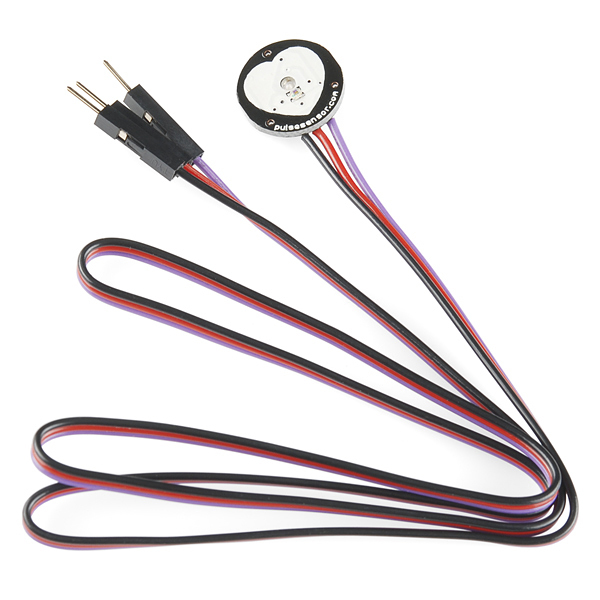 I picked up a couple pulse sensors for use with an Arduino project, and have found them to be pretty reliable. They've shown a tendency to detect beats that aren't there when jostled, despite a thoroughly rigid layer of hot glue on the back and around the connections. On the off chance that this is a power issue on my part, I'm adding a cap to the circuit, just in case. The library uses the same timer as the tone() library (Timer2), so I had to adapt it to work with Timer1. This wasn't a big deal but might be a lot to ask of an arduino or microprocessor newbie. 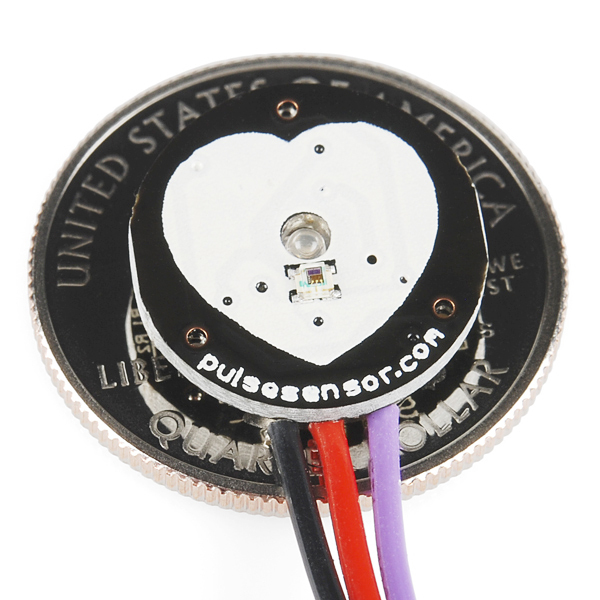 This pulse sensor works as advertised, but it's a little "janky" at times. Sometimes it starts picking up the wrong rhythm somehow and you have to readjust your finger so that it finds your heartbeat again. Don't waste your money on this sensor. I am using the most recent version of the demo code. I verified the accuracy of this sensor against a TomTom Spark heart rate monitor watch which also uses an optical heart rate sensor. I also verified the sensor against a Garmin workout watch that uses a heart rate monitor embedded in a chest strap. I have validated both of these watches against an EKG machine I have in the surgical simulation lab at the university where I work. The accuracy of these two workout watches are statistically "equivalent" to the more accurate EKG. When this sensor is attached to your finger, the output isn't horrible. The intraclass correlation coefficient between the sensor and the TomTom watch was statistically significant, indicating that the sensor is sufficiently accurate. However, I wanted to use this sensor to measure heart rate as a function of surgical task difficulty. To do the surgical task, you gotta use your hands... so mounting this sensor on a finger won't work. I used the included ear lobe clip and ran a validation test. The sensor reports readings that vary between 10 BPM and 200 BPM over a 60-second time period. The intraclass correlation coefficient is essentially zero... indicating that it is wildly inaccurate. I tried mounting this optical sensor on the back of my wrist (the same place where the optical sensor in the TomTom is located) and this sensor isn't accurate. I tried mounting this sensor to the underside of my wrist and that didn't help accuracy. I tried putting it over my heart and that didn't help accuracy. If you want a cutesy sensor that does various non-important tasks based on some estimation of heart rate, this sensor is fine. But if you need accurate data... keep on looking. This device is really typically used more in hobbyist environments. The accuracy can be varied widely depending on which position that you use them in. The hardware on this sensor is excellent, and gives you the ability to get started coding to access more complex biodata from the heart. Of course a photopleth isn't as accurate as an EKG/ECG but this is about as accurate as a pleth gets in my opinion! With its small frame it can fit in most projects. Drawback is that it is a bit limited in functionality. Sparkfun service is incredibly amazed me. International purchase has no problem at all. The parcel arrived within a week. And yet early than estimated . All the components were packed nicely and sealed . I'm really happy with the service. Definitely will purchase on sparkfun with my next project. Thank you so much.